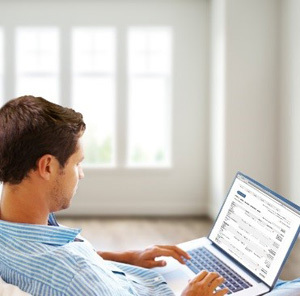 Paying bills is easy and convenient with Online Bill Pay. Simply log in to Online Banking to access Bill Pay. You can establish recurring payments or make one-time only payments. You can also subscribe to eAlerts for notification when bills are coming due. Online Bill Pay is a secure way to receive, pay and track all of your bills online – avoiding the need to write checks, mail bills or buy stamps. Simply schedule your payments and the funds are withdrawn from your Checking Account on the date you have chosen for the bill to be paid. Simplify your life! Not enrolled in Online Banking yet? Enroll Online Now. Select “Services” then “Pay your Bills” to access the enrollment form.